In order to be a successful volleyball coach for children, you need several things. First, you need to make sure that everyone feels important and involved during the volleyball season, including children and their parents. 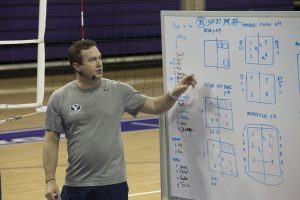 Make sure that you are communicating the goals, expectations, and the plan for the volleyball season and the matches during the season, and communicate often. Obviously, the more you know and understand the game of volleyball, the more successful you will be. You need to know the rules, the terms and the strategies on a deep, advanced level. The game of volleyball is not very complex, so this part should not be hard. However, not only do you need to know the rules, terms, and strategies, but you also need to be communicating them effectively to your team and to the parents. You may understand the game of volleyball at a deep level and have a passion for it, but your understanding will not lead your team towards success if you are not able to communicate it successfully and apply it during the volleyball practices and matches. The communication will make your team more successful and make the experience of being a part of the team more enjoyable. Many volleyball leagues have different rules for teams of different levels and ages of children, so make sure to thoroughly study the rulebook of your league. You may know everything there is to know about the sport of volleyball, but the rules of your league may have some important details that you can’t ignore. Typically, every league will have its own rules about the size of a volleyball court and the rules that the officials of the league enforce. Knowing these rules and adhering to them will make a tremendous difference in how you and your players perform and feel during the season.